The Park Just Launched A New Adults-Only Hotel In Goa! The Park Hotels just launched an adults-only hotel in Goa—their second property there—and it’s the perfect combination of luxury, culture, and fun activities. Enter: The Park Baga River. Doesn’t matter if it’s your first Goa trip (for which you had to convince your parents for a month) or a romantic getaway to the beach-y paradise, you want to make sure you’re staying somewhere close enough to all the action, and far enough away to catch some quiet. We didn’t think that particular balance could be struck, and maybe it couldn’t – until The Park Baga River came around. 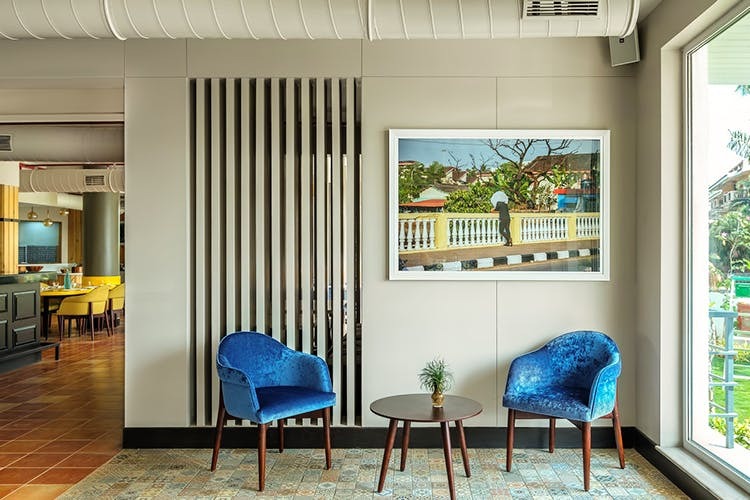 The boutique hotel, about 10 minutes from Baga Beach, is built with Portuguese influences – bold accents of yellow, with a dash of Goan culture infused into it. It’s an adults-only property (only 18 year olds and over allowed) with luxurious rooms, a 24-hour restaurant called Saltwater and a poolside bar, Aqua—and yes, we can wholeheartedly vouch for the food and drinks (don’t forget to try the Goa-style Bento Box). Their ‘anything but ordinary’ experiences might just be the best part about them. Curating personalised experiences like walks through a flower village, art classes with Subodh Kerkar (renowned Goan artist), river cruises with beautiful sunsets and beer on board, surfing, sailing and so much more, the hotel will definitely take your Goa trip up a notch. If you’re heading to Goa, The Park Baga River is an ideal choice for a complete mix of fun experiences and luxurious relaxation… and well, great food! For more details and bookings, check out their website here.